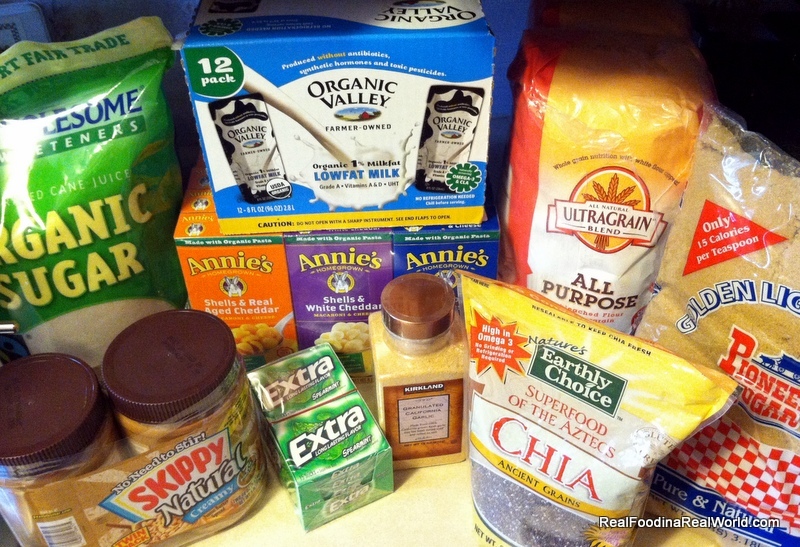 I have been reading a lot about Chia seeds lately and I have requests to make some recipes. I picked some up and I will start to experiment. Twenty pounds of unbleached flour, ten pounds of organic sugar and five pounds of brown sugar should keep us in baked goods for a long time. Red pepper hummus is pracitcally a food group in this house. 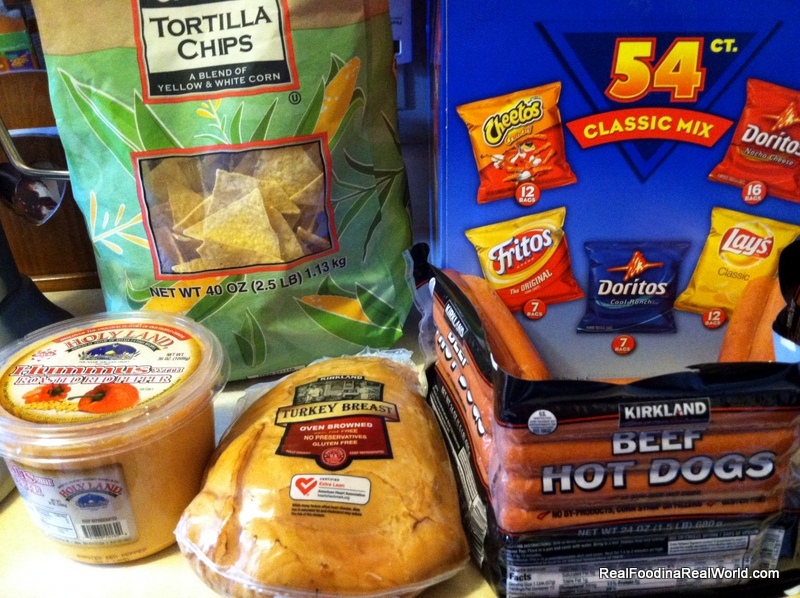 We got hotdogs for the freezer for grilling season. The organic tortilla chips are awesome! The potato chips are for hubby, for his work lunches. The turkey is a new experiment I will be reviewing. Tiny trip to Pure Pastures this week. 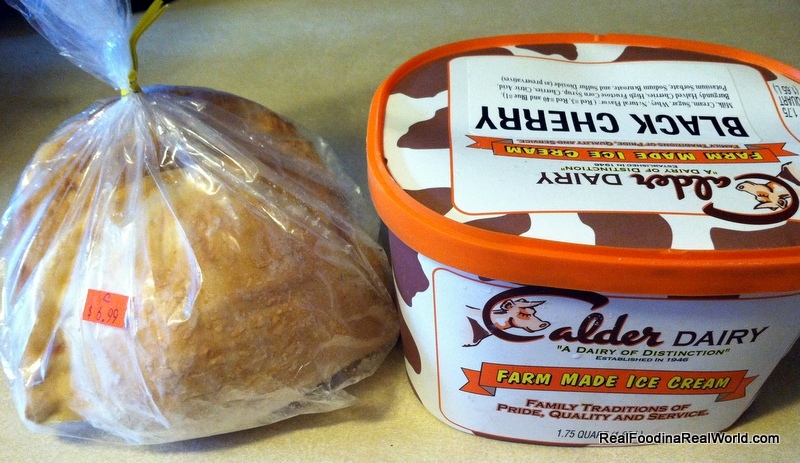 Chicken Pasties and some Black Cherry ice cream from Calder Dairy for hubby. He says it is amazing. 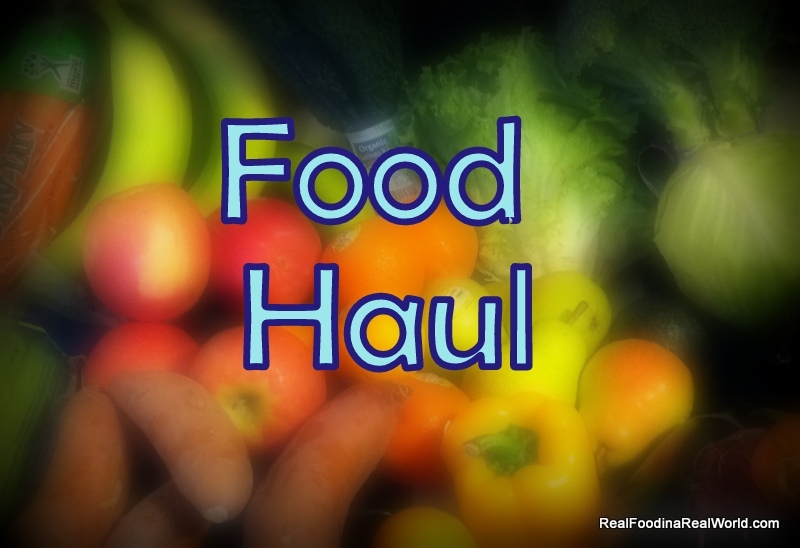 Of course, we have the Door to Door Organics boxes! Grape tomatoes will make my kiddo happy, and blackberries make me happy! 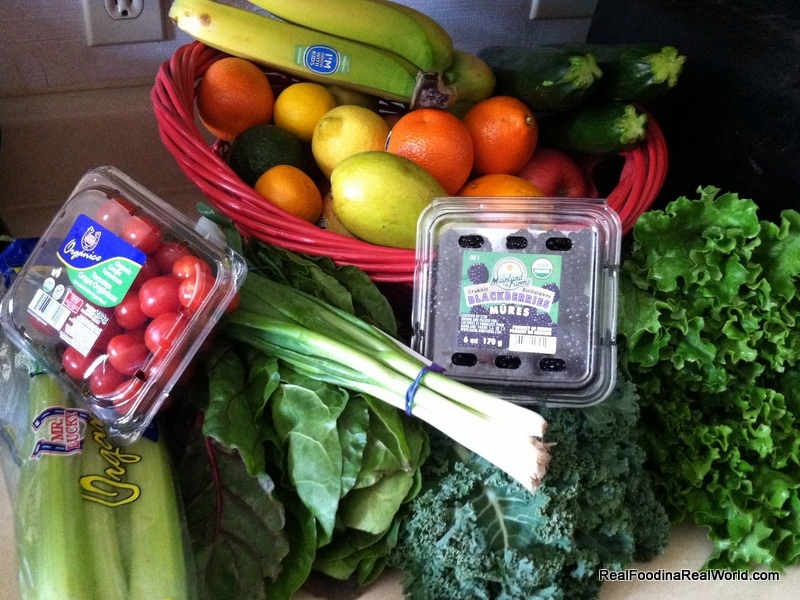 I’m going to try out kale chips this week, I’m looking forward to another way to force kale into my body. I think kale tastes like grass, so the more tasty ways the better! 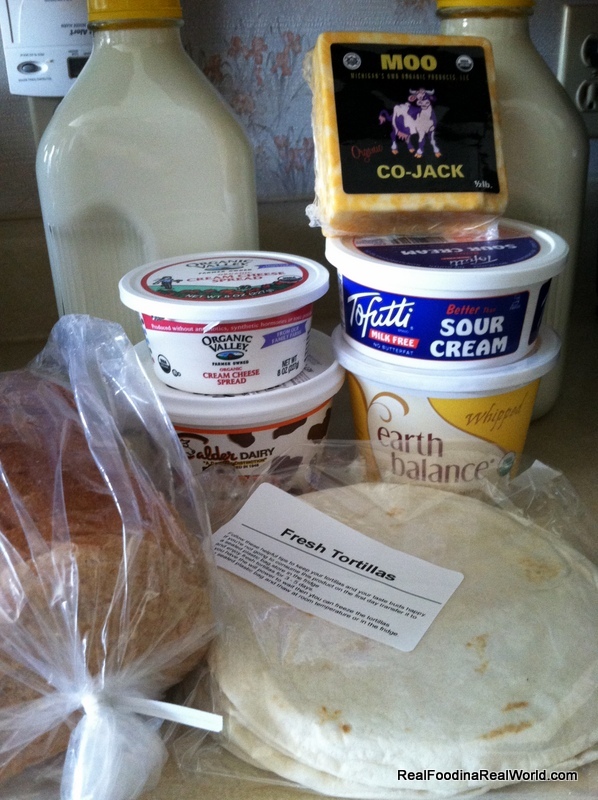 Pretty usual suspects here, Calder Dairy milk and sour cream, Tofutti sour cream, La Michoacana tortillas, Avalon 313 bread, and some cream cheese and Michigan MOO co-jack cheese. Want to learn more about Pure Pastures? Ahh, I forgot to post that! Pure Pastures was $22 (there were more pasties not pictured) Door to Door Organics was $80 and Costco was $140. So $242 total this week, but I’m stocked up for quite a while.